Anthony Privette is a leading North Carolina criminal law attorney dedicated to defending clients in a wide variety of criminal matters, including driving under the influence (DUI), white-collar crimes, and drug offenses. Mr. Privette has fought to protect the rights of criminal defendants throughout North Carolina, often clearing their names and permanent records. Criminal defendants have the right to fight any charges leveled against them in a court of law. Alleged criminal conduct is insufficient to sustain a conviction; the law requires proof of each element of a crime beyond a reasonable doubt. Defendants have due process rights allowing them to confront their accusers and present any contradictory or mitigating evidence in their defense. In North Carolina, it is illegal to drive a motor vehicle with a blood alcohol concentration of 0.08 or higher or while under the influence of any “impairing” substance. DWIs can result in stiff penalties and suspension or revocation of your driver’s license. But in order to be convicted of a DWI, the prosecution must show the officer had probable cause to arrest you. While police officers have discretion to stop suspected drunk drivers, they cannot improperly subject drivers to breathalyzer tests or arrest them without probable cause. An experienced DUI attorney can challenge your conviction and help you avoid jail time, costly fines, and a criminal record. North Carolina’s General Statutes also punish drug crimes. Possession of a controlled substance can result in a felony conviction carrying very serious criminal penalties. Possession of synthetic cannabinoids can likewise result in various “classes” of misdemeanors, depending on the carrier’s intent and the drug’s weight. Under §90-95, any possession of a controlled substance with intent to manufacture, sell, or deliver is a felony whereas possession of seven grams or less is only a misdemeanor. But any violation of the defendant’s constitutional rights may result in the exclusion of evidence from trial. 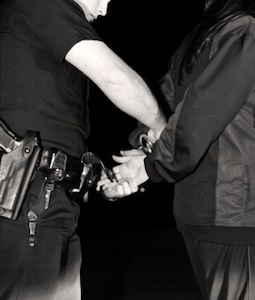 Defendants may therefore suppress evidence of a drug crime if police obtained the evidence without a warrant or through an illegal search and seizure. Like DUIs and drug-related offenses, white-collar crimes can also be classified as felonies carrying significant criminal penalties. Fortunately, these crimes are amenable to similar legal defenses that can drastically reduce sentencing. For example, failure to prove intent can result in the dismissal of charges. Mitigating evidence may lead to a more lenient sentence. Courts can often reduce sentencing if the accused is willing to make restitution, or pay back the allegedly ill-gotten gains. Defendants can also earn back the money as a condition of probation. A knowledgeable defense attorney can help minimize your punishment and keep your record clear. If you were arrested for a criminal matter, an experienced North Carolina DUI defense lawyer can help challenge your conviction and protect your rights. Anthony Privette has successfully handled a wide variety of criminal matters throughout North Carolina and is dedicated to helping you achieve the best possible outcome, whether that means complete exoneration, a dismissal of charges, or a reduction in sentencing. To receive a confidential consultation, call Mr. Privette at (704) 872-8125.